Don't shortchange your students. 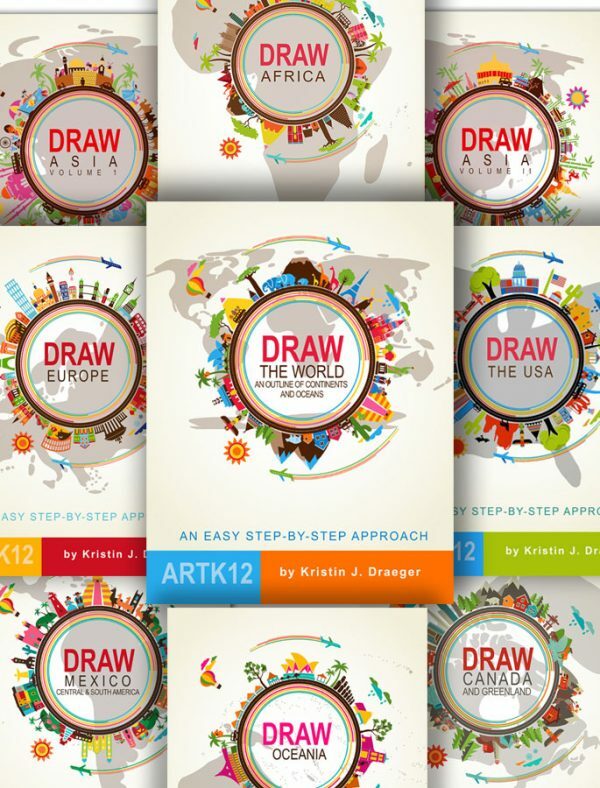 Challenge them with inspiring art, Biblical verse and scholarly text. If you’re looking for Bible crafts for your kids there are thousands and thousands out there to choose from. 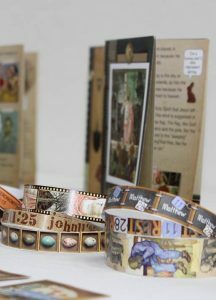 There are paper projects to full on projects that entail cutting and gluing and stringing and tying. Students might even have to attempt the near impossible: convincing Dad to let them use the power saw. Good luck! 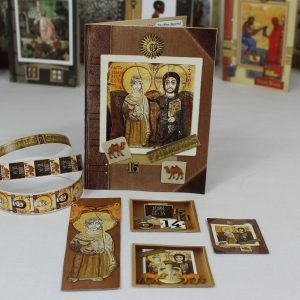 I grew up in the church and I can remember only one craft that we did. It was that famous pair of praying hands and made out of plaster of paris. I can still remember the smell of the paint. I painted mine blue, a very bright blue. Other than that, I can’t remember anything I made in Sunday School or at church camps. Looking around the internet I see a lot of crafts that honestly just look like busy work. Not sure how much of it actually teaches anything meaningful or memorable. Not that everything has to do that, but if you’re going to have your kids spend time on a Bible craft, why not make it as meaningful as possible? There is a gigantic, untapped trove of great religious art that we moderns have forgotten about. 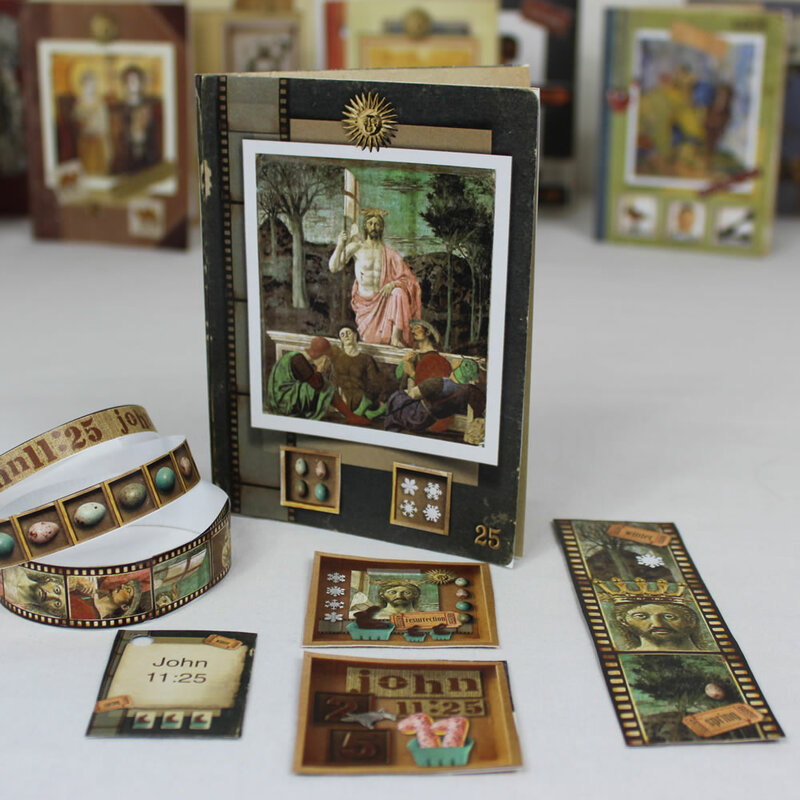 The Medieval period often gets a bad rap, but it produced untold amounts of great religious art in Bibles, commentaries, bestiaries and more. Modern art critics tend to think of art in linear way, that is, that it just keeps getting better and better and what came before us is rudimentary and childlike. This could not be further from the truth. Part of the problem is that moderns tend to look at ancient and Medieval art with modern minds. They see a Medieval painting as unrealistic, as the attempt of an inferior artist, when in reality the Medieval artist was concerned not about realistic looking art but symbolism and meaning. They wanted their art to teach, inspire and illuminate. Kristin Draeger, ARTK12’s founder, has always believed that kids can handle far more intellectually than we allow them to. If you’re going to have a student draw a dog, why not have them draw a dog from a great piece of art and explain to them why the dog is there and what the significance of it is? 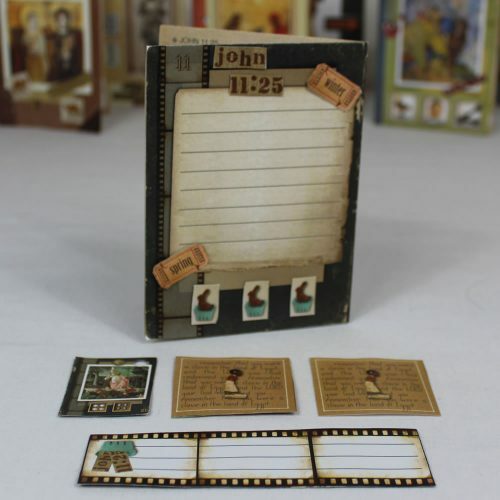 If you’re going to have a kid memorize and write down a Bible verse and then create a craft for it, why not connect that verse to a great piece of art or artifact that both illustrates and illuminates the Bible verse? Why not? 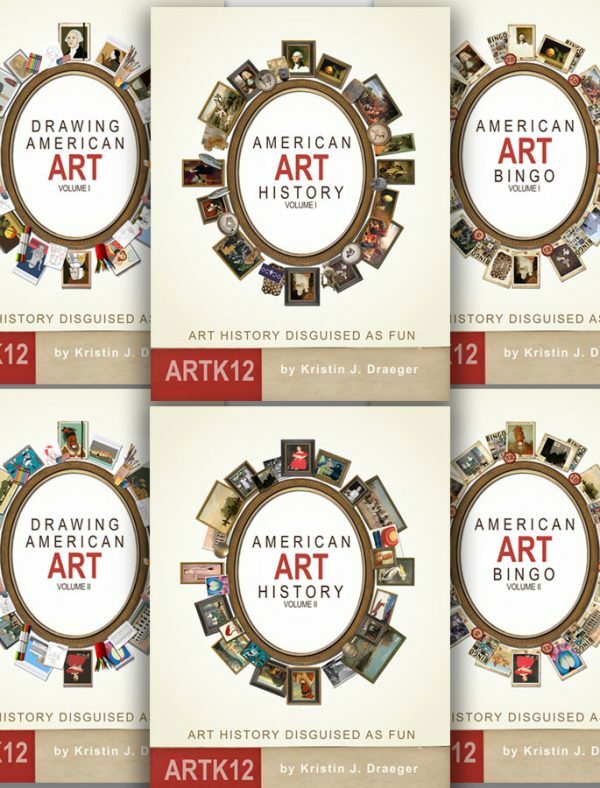 ARTK12 curriculum has striven for two things over the years: it should be fun and it should be meaningful. ARTK12’s first craft project for your kids accomplishes both those objectives. 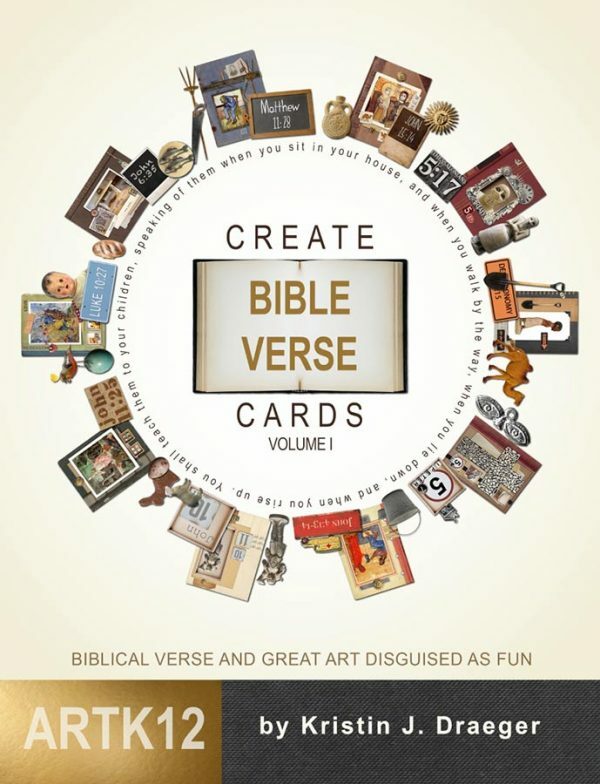 The Bible verse card crafts in Create Bible Verse Cards: Volume I incorporate Bible verses, great pieces of art (from the Ancient and Medieval periods, the Renaissance, and the late 19th century with 2 Van Gogh’s) and artifacts, 5 projects per card to help reinforce the verse, interesting text that explains the significance of the art in relation to the verse and fun talk bubbles for your kids. They will both learn something and have fun doing so. You’ll probably learn some things too, I know I did while proofing the book and I work here! 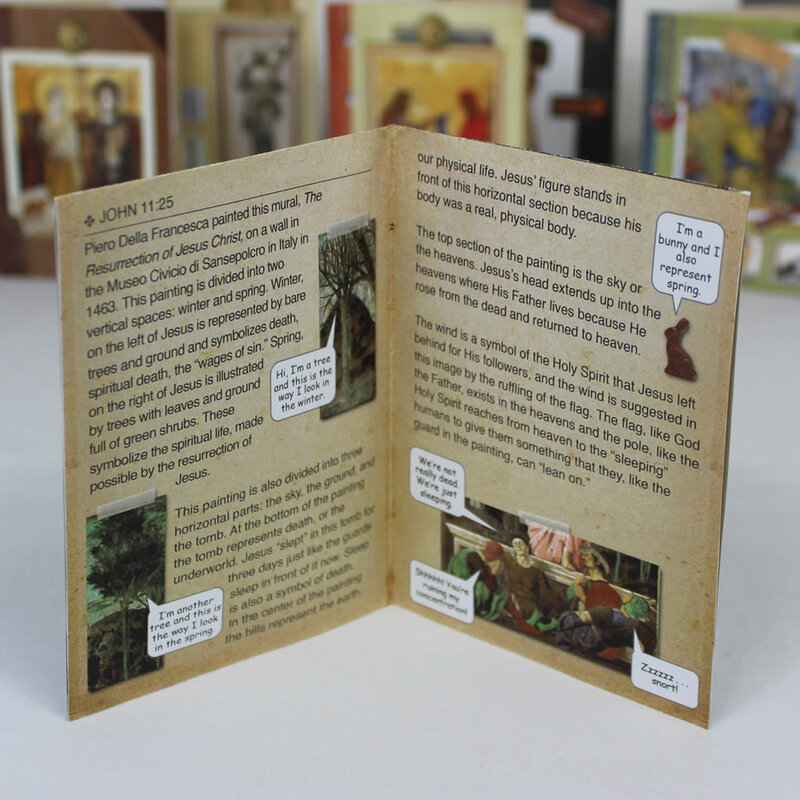 We’re offering a free Bible verse card from the book so you can try before you buy. If you want more information or the free card use the buttons below. View We’re Growing, We’re Changing. No More Licenses. »« View Aughhhhhh!!!! Typos! !